Home / Uncategorized / Prime time fun: Alternatives to TV (ages 5 to 8) -10 activities to keep them engaged! It requires a lot of patience, attention and energy to entertain children between 5-8 years of age. 1. Outdoors: Most children love parks. Take the opportunity to have fun by digging for worms, painting watercolour dinosaurs sitting on the grass or collecting rocks! Children enjoy simple games such as bat and ball, hopscotch and tag. Physical achievements help a child gain self-esteem. If a child is able to ride a cycle, climb a ladder, skip, cartwheel, kicking the ball of different sizes and shapes, it enables them to feel a sense of accomplishment. 2. Think and play: This form of play encourages the child to learn think and problem solve. You can play board games such as Ludo, Snakes and Ladders, UNO, monopoly and card games which children will be hooked onto. Puzzles are yet another way to apply the cognitive skills to create. 3. Listen and talk: As parents, we must at some point during the day try our hands with the following -reading together, sing songs, tell each other jokes and riddles. Play I spy or simple word games like, “think of a word that rhymes with the frog.” Telling stories to each helps in developing your child’s language. Telling stories helps children organize their thoughts and learn new vocabulary, but communicating with you boosts their self-esteem. 4. Cooking and other household chores: When you allow your child to cook with you, your teaching him many skills which may even last a lifetime. You are teaching him to measure, weigh and learn ingredients. Making cakes and cupcakes are most sought after recipes for children and they truly live up to the proverb, ‘you can have your cake and eat it too.’ Another method to help them make use of their free time is making them do household chores. Cleaning and mopping could possibly be a start and you would be surprised by their sudden fondness of a broom! Often kitchen utensils make for the best pretend play for children. For example, pots and pans, spoons and an apron. The children enjoy setting up a table as they were in a restaurant and serving lip-smacking dishes to their customers (i.e. you). 5. Art: the word messy is synonymous with children. Hence, it’s a given that whether boys or girls art is way to keep your child occupied. With the help of paint, crayons ask your child to create ‘Doddle art’. Doddle art helps your child to use their creative side and bring colour to their blank papers. Play dough and painting on a canvas are great activities for your child to indulge in. 6. Free play: It’s important for your child to enjoy independent play as well. So set up a play area where your child can play by themselves with their toys, bubbles and books. 7. Create ‘Huns’: Ask them to style your hair or theirs with the use of chalk or even oil. Scissors should be nowhere near this activity! They can practice their braids or buns or huns! 8. Sew it!– If your kid is crafty, get a cheap, used sewing machine, some patterns and other projects, and see what they can come up with. If your child is too young for machinery, get some burlap, some large plastic needles and a bunch of yarn, and that’s their sewing table. 9. Treasure hunt: Ask your child to go on a scavenger hunt by assigning them things to look for: five stones, three pine cones, six leaves, a roll of pennies, that one black sock that always goes missing, etc. 10. Mini fashion show: If your kid likes playing with baby dolls, get them to switch its outfit a few times like a mini fashion show or change its diaper and use actual baby wipes. Depending on how parental they’re feeling, this could go on for at least an hour. If you don’t have diapers, then pinning outfits and dressing stuffed animals along with accessories such as hats, glasses etc can be used. 11. Positive Screen time: With educational apps available it’s now possible to make sure that your child uses the tablet or smartphone effectively. The positive impact is seen through the carefully curated games which allow your child to learn. Once such app is Hello English Kids and it’s designed by experts with the sole intention of educating children to learn English faster by adhering to the curriculum.  Hello, English kids engage kids with the 3 essential C’s, i.e content driven, adheres to various curriculum and is creative in every game! The app enables children to master phonics, spelling and reading comprehension.